Precast refractory screens located inside the tundish to reduce the turbulence of molten steel by pouring from the laddle and to avoid the inclusion of contaminants in the casting flow by successive filtrations. Deguisa precasts the walls and tundish dams in various refractory concretes. 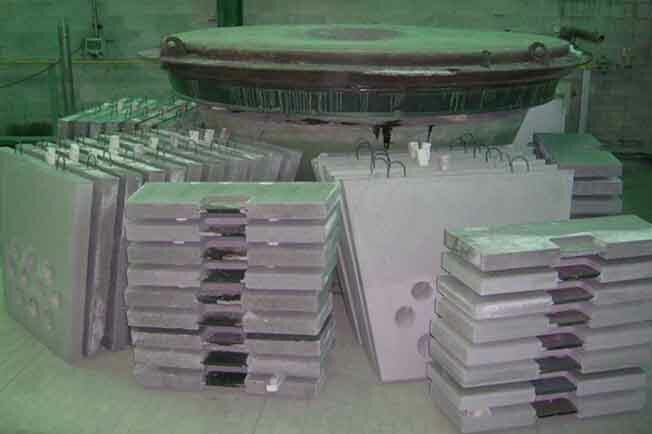 Precast product ready for installation. High resistance to temperature and abrasion. Qualities adapted to all steel grades. Do you need more information about Dams and tundish walls or about other products or services? Send us your details and we will contact you.